Matt and I decided to drop the dog off at his parents and head west for a 10 day vacation to the Pacific Northwest. It wasn’t exactly an anniversary trip, but it was close enough for us to pretend it was. We flew into Seattle, picked up our rental car (the first rental car of our trip but more on that later) and headed south towards Portland, Oregon. 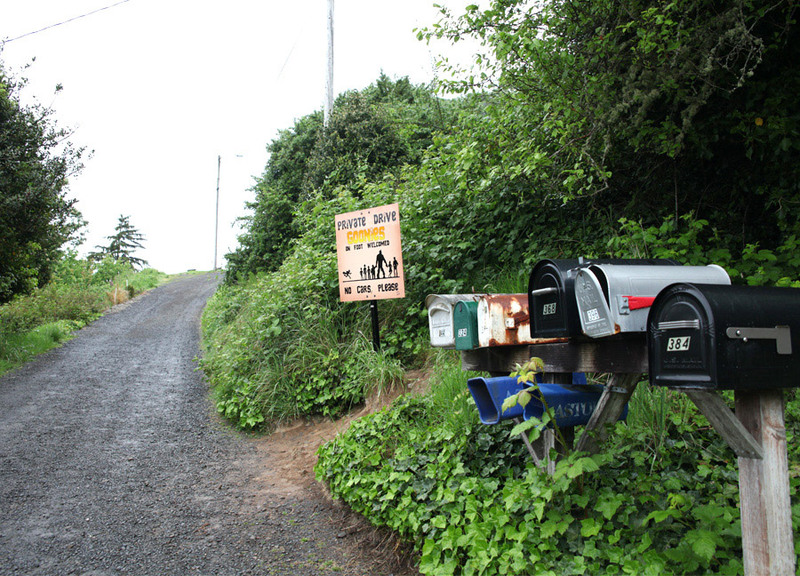 Since we are both products of the 80’s we couldn’t drive by Astoria without stopping to see Mikey’s house from Goonies. 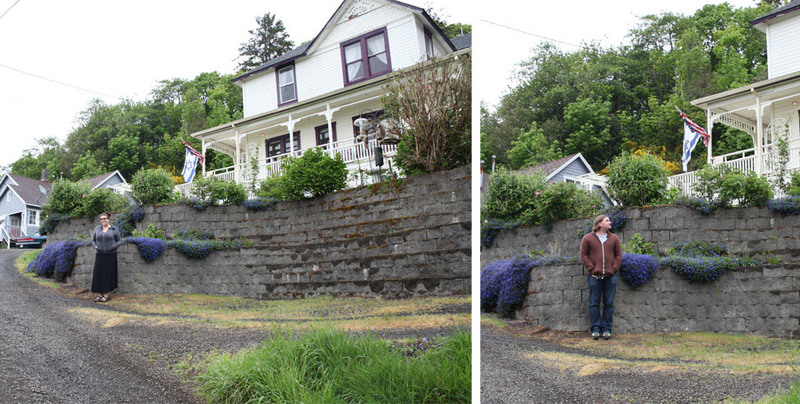 With the help of the internet and our phones’ GPS we found the house and parked our car on the side of the road and snapped a few photos. 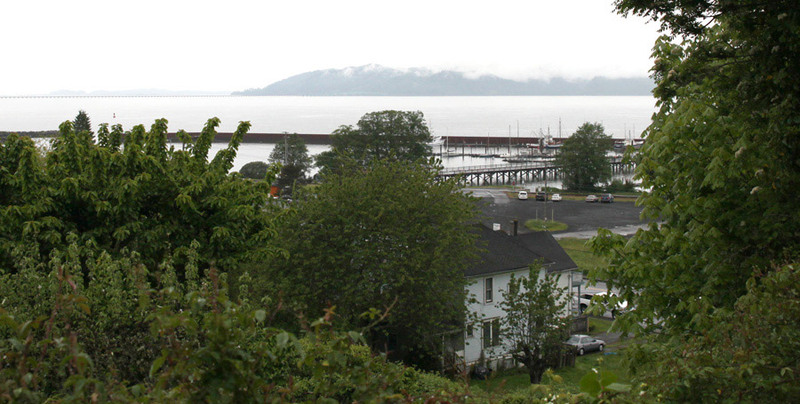 The house is nestled high on an overlook where you can see part of the harbor and as we posed for photos we heard what we thought were some muffled dog barks. But looking down at the harbor we notice the rocks moving, the noises were heard were Sea Lions so we walked back to the car and navigated our way to the dock we could see from the hill. I dont’t think either one of us were prepared for what we saw at the public docks. 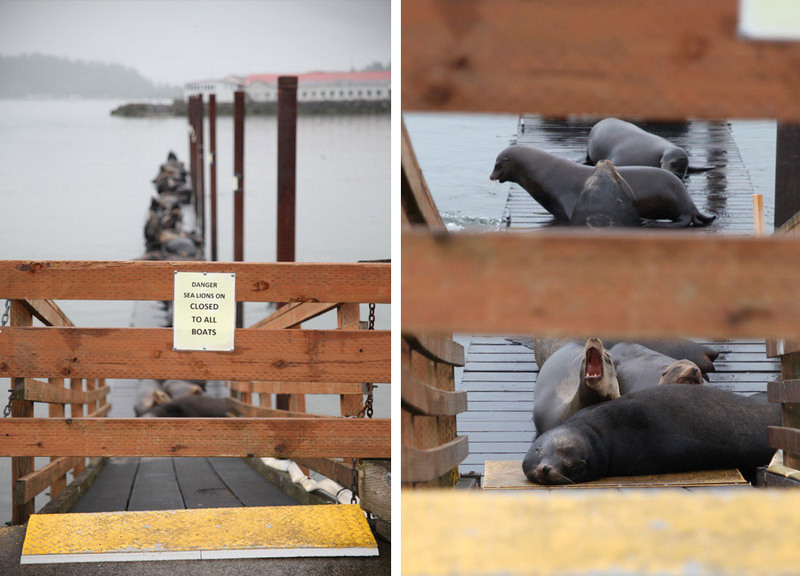 I expected to see maybe 5 or 10 Sea Lions, but there were at least 150. Not a care in the world. 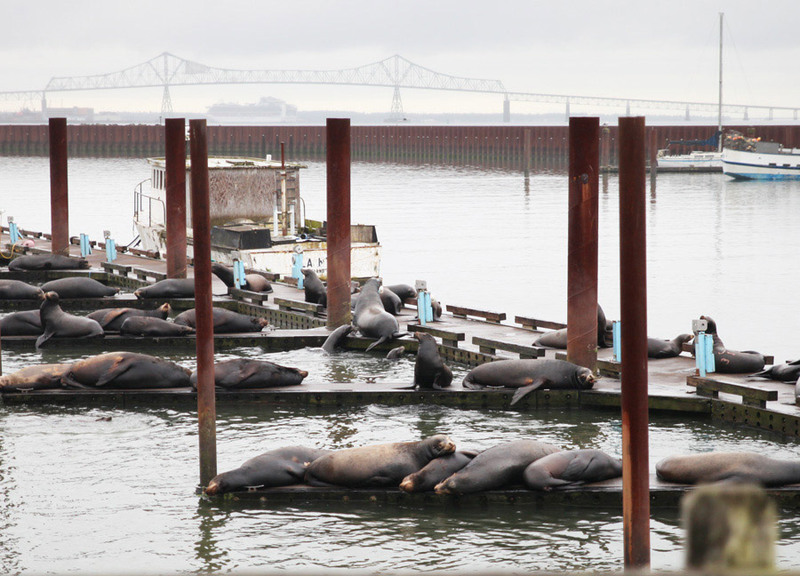 Piles of Sea Lions laying on top of each other, splashing in the water, sleeping under docks. Looking back this was my favorite moment of the entire trip. An unexpected adventure. 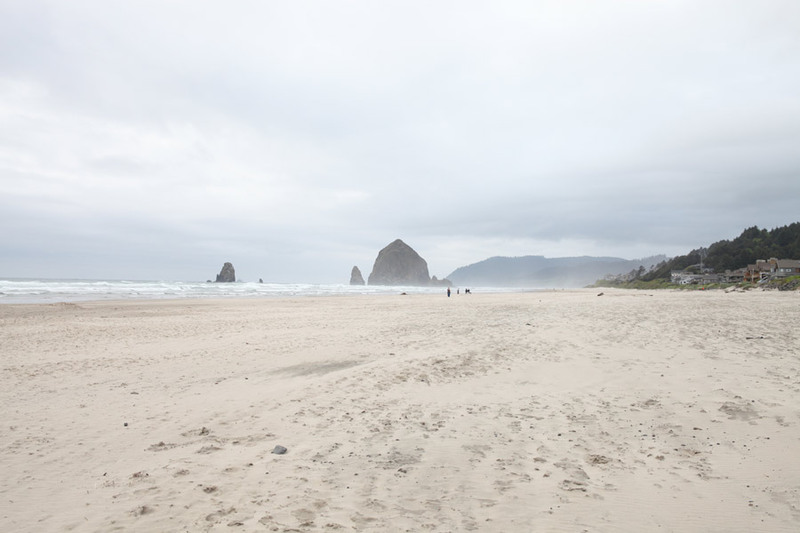 Our next stop was Haystack Rock in Cannon Beach, Oregon. the day was still windy and rainy but you know what they say… “Goonies never say Die.” A few photos and a quick walk in the sand and we headed toward Portland where would settle in for a few days. The drive through the small towns and logging roads was beautiful, even though it was foggy and rainy and it felt a little surreal to be almost above the clouds in some parts. Although we only stayed in Astoria for about an hour, it was a very cute town and we hope to visit and stay a bit longer next time. There were so many things on our list and just not enough time to do it all. This super cool animated opening is from the French movie Les dents de la nuit which here in the states has been titled Vampire Party. The soundtrack song is Toy Boy, performed by the Stuck In The Sound. And just in case you are looking to watch the entire movie this Halloween weekend, just put it in your netflix que. On Sunday evening the world will say goodbye to Sawyer, Kate, Desmond, Jack, Ben and Not Locke for the last time ( I suppose). Even though the series will be over, that doesn’t mean that you can have a few things to remind you of this amazing show. 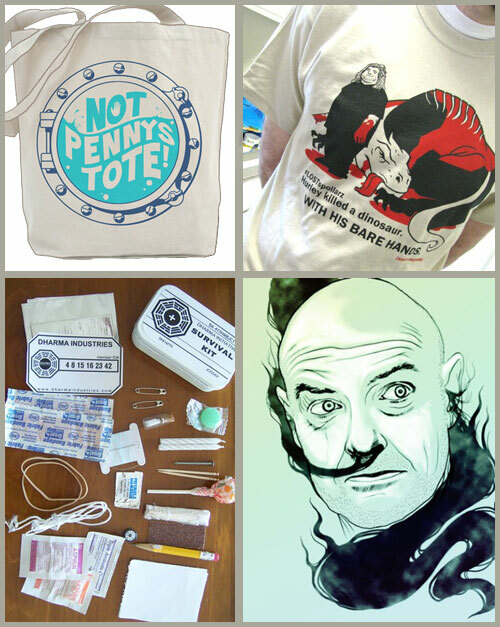 An awesome fun beach tote designed by Nathan Cabrera, Lost spoilers shirt from Tina Sea Monster, Man in Black poster from 52 bad dudes, and of course the Dharma survival kit from Handmade by JC. 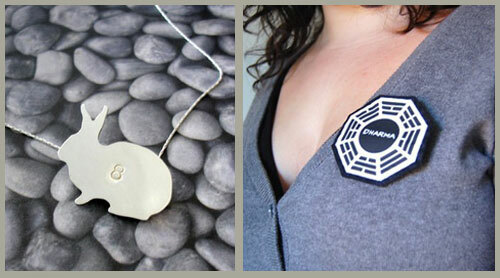 And of course if you are looking for something to wear check out the Dharma bunny pendant from quite clever, or the Dharma pin from Chocolate Mint Crafts. Last night I watched a film that I am embarrassed to say I had never seen before. The 1953 film Gentlemen Prefer Blondes staring Jane Russell & Marilyn Monroe. I love classic movies, especially those with some comedic drama and a musical number or two. 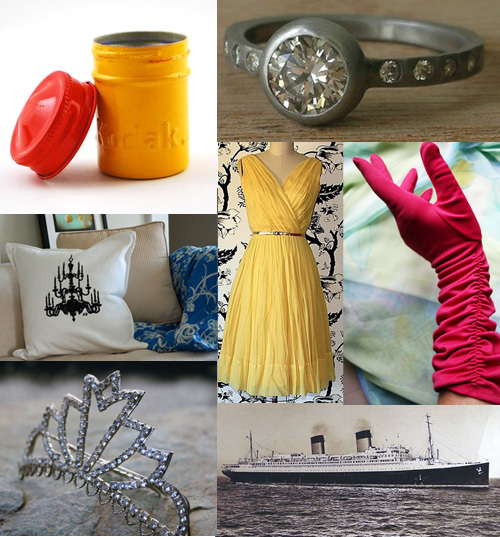 I have picked out a few etsy finds inspired by plot of this classic “love” story.